Volunteerism – a multiple exchange process! It has been already 5 months passed and I can proudly say that my experience from this volunteering has been very diverse and productive. I had leaned many new things and upgraded many of the once that I had already possessed. Starting from the very beginning I had the opportunity to support one of the projects of my hosting organization which was a training course about refugees and their integration, where I had opportunity to use my organizational and management skills, supporting the logistics and helping the program with sharing my ideas and sometimes implementing energizers along with the participants. Working with Bulgarian Youth Forum I have been participating in a campaign for stopping the hate among people in the online world, and for that cause I have been supporting and managing the beginning moths of their Instagram profile as well as participation in the shooting of a series of videos presenting the problem. Since I have a conversational level of Bulgarian language I have also supported the founders of the “No Online Hate” campaign in their efforts to present it in schools and along with them share our own personal experiences on the matter. As part of my EVS during September I had the training opportunity with which I have learned the process of writing my own Erasmus + project and by the beginning of the October open call I have submitted my own project which is a Youth Exchange covering the sphere of health and well being called “Healthycized”. I am proud of myself that along with the support of my organization I managed to go throughout the whole process successfully (in my opinion). I have been learning a lot on the way and I plan in future to invest more of my time to writing projects. Regarding the other activities I was active in writing/translating a series of articles (twice per week) in English and on Bulgarian as well. Regarding the improving of the Bulgarian language skills I have been upgrading myself on a new level reading a more books and by using the method of retelling aiming to get it on more advance level. As part of my improvement process on language competences I have been translating some texts in Spanish language as well. My digital skills were improved it a great deal by producing 7-9 short videos in different programs like Adobe Premiere Pro and additional applications. All of the media that I have produced and edited and as well, I have been posting them on the official Instagram profile of Bulgarian Youth Forum.that I am managing. Part of improving this skills was making a flyers for the organization which were my first printed product for commercial use. I have also started my own blog connected not only to my EVS experience but as well my own personal life here in Sofia, Bulgaria, which is still in the process of building it up. Since I have been very eager to do activities connected to art we had this idea of making it come true. So on 07th and 08th of December 2017 collaborating with my colleague Sandra Ust we have made an art workshop for the children in the “Daily Center for Work with Children from the Street”in Kostinbrod Municipality. 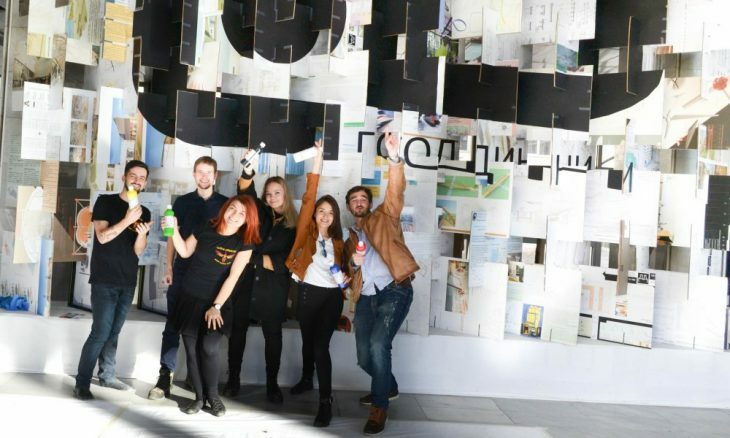 I am as well very grateful to Sandra, T.R.A.P and Bulgarian Youth Forum that supported me in my second art workshop that took place in the Faculty of Architecture, and was the first workshop of that kind in general in Sofia. The main idea was to incorporate dance and painting together so I managed to collaborate with a Irish dance teacher Ralitsa Sofronieva and make this “Dance & Paint” workshop. Last but not the least, since I have been always interested in health and well being I volunteered to participate in another campaign which is a partner project between my host organization Bulgarian Youth Forum and TUXIDO company, supporting and teaching young people in Bulgaria about sexual health and prevention of STDs .